Indra Vizha chapter from Puhar Kandam in Silapathikaram[Poet:Illango Adikal],under the heading "One of the young men thus celebrated his beloved lady"[“வீதியில் உலவும் பரத்தையரை ஆடவர் புகழ்தல்”],mentioned about eclipse as below. fled from the sky in search of shelter. she reappeared then as your pallid face. 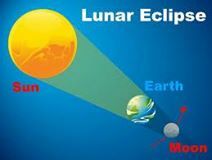 A solar eclipse occurs when the moon passes between the Sun and the Earth so that the Sun is fully or partially covered but this celestial spectacle also brings along with it a string of superstitions all over the world.In India & Tamil Nadu, people believe when the sun rays are covered by the moon, the atmosphere becomes polluted. Therefore, for the whole day -- about 12 hours of the day time -- people observe fast and do not eat any food in the polluted atmosphere. People pray during the eclipse period so that they did not indulge in any evil activity. 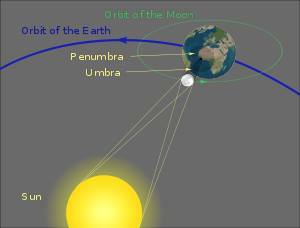 The same is done during Lunar Eclipse but the period of fast is only nine hours. “There are several false beliefs prevalent in our society regarding solar eclipse. Some people even lock themselves up in their homes to avoid ‘the bad rays’ from the eclipse,”Many also take a dip in holy rivers to cleanse themselves after the eclipse and some avoid cooking and eating during the eclipse. There are others who believe that pregnant women should refrain from coming out during the eclipse as it can lead to deformities in the foetus. According to Indian mythology, when amirtham or amrita(a heavenly drink that would give immortality to the drinker) was churned out of the ocean, both the gods and the demons claimed their rights on it. Lord Vishnu tricked the demons and gave amritham to the the gods, but two demons named Rahu and Ketu disguised themselves and joined the feast. But the gods Chandran(moon) and Suryan(Sun) recognized them and on their alarm, Vishnu beheaded them. Since the amritham had reached their throats, their heads remained immortal. The two demons vowed eternal vengeance against Sun and Moon and therefore devour them - causing eclipses. But since their throats are severed, sun and moon come out of their throats after a little while. The "Churning the Milky Ocean" was joint action of Devas and Asuras for a single goal at a place at a time. It was a great desire and necessity of Devas to get the Nectar but they cannot achieve it by the effort of themselves. Though they invited the Asuras to strive with them for the purpose, but the Devas were actually reluctant to give the Asuras even a part of it. This is the nature of the people everywhere, to achieve the whole benefit without giving the co-workers even a little. The nature will give the result of every action. 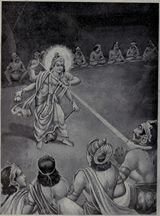 The result of the cheating of the Devas was the stealing of the Nectar by the Asuras,But the Lord Vishnu confronted it with another cheating tactic and win over it. This was the story behind the incarnation of Mohini.There is no basis in truth for these superstitions,All these superstitions originate when human beings do not have the knowledge to explain away natural phenomena. The eclipse causes emission of UV rays and hence you should not watch it with naked eyes. This is one of the reasons; why it is not considered good. Later stories were built around it as above.Lastly as per "panchangam" [பஞ்சாங்கம்/Hindu astrological almanac] the presence of Rahu and Ketu makes it bad time for a birth or to conduct any good ceremony.Actually there is no truth in it; if you trust science.